Carrots, broccoli, eggplant, and much more. 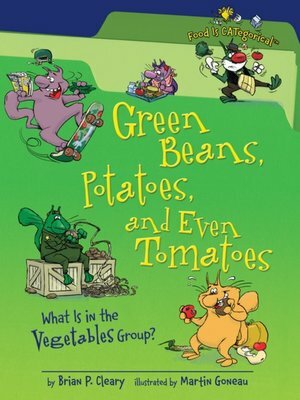 Brian P. Cleary's goofy verse and Martin Goneau's humorous illustrations give young readers a whole crop of vegetable examples and highlight some of their health benefits. Vegetable names are printed in color for easy identification. Enjoy this tasty treat of a book!